She fights back! 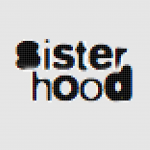 - sister-hood magazine. A Fuuse production by Deeyah Khan. As part of Oxfam’s Good Fight campaign, the charity has been covering projects aiming to reduce violence against women across the world. One of those is the SheFighter organisation. SheFighter is a response to the growing phenomenon of street harassment in Jordan. Street harassment is a way that men make women feel insecure in public space through behaviours such as cat-calling, groping, sexual assault, lewd and uncomfortable stares and terrifying mass attacks upon women. Research suggests that 72% of Jordanian women experience street harassment. Harassment has been described as ‘a strategy to scare women away from the public space so they do not work or go to school, earn their own money, go into politics, make decisions, claim property and take power’. Within a strong culture of victim-blaming, women who have been harassed are often not treated sympathetically, and male harassment can effectively drive women from the public sphere – in more ways than one. This short 2012 film depicting the harassment of female students in Jordan University led to the dismissal of the professor who supervised its production. In an absence of political will to address the problem in this conservative country, Jordanian women often have been forced to step in to create their own solutions, including staging demonstrations against harassment, and founding an all-female taxi firm. SheFighter, founded in 2012, represents the most direct response to the issue of street harassment, through teaching young women martial arts and self-defence skills. It was founded by Lina Khalifa, an expert in kickboxing, kung fu and boxing, who started training women in self-defence techniques in her own home. She combines training in the martial arts taekwondo and kickboxing with sessions that raise self-esteem and the awareness of human rights. ‘Self-defence helps women gain better self-esteem because it teaches them how to defend and protect themselves from different types of violence. It works also on building their strength up and getting a strong body that will boost self confidence in their lives,’ says Khalifa. The team also provide outreach training across Amman and to women living in refugee camps in the country, spreading their message of women’s empowerment. Starting from training just five girls in her own home, Khalifa’s organisation has now worked with 12,000 women and girls across the Middle East. ‘Here, the girls can open up. They can speak up. They can become leaders. They can become whatever they want to become,’ says Khalifa.